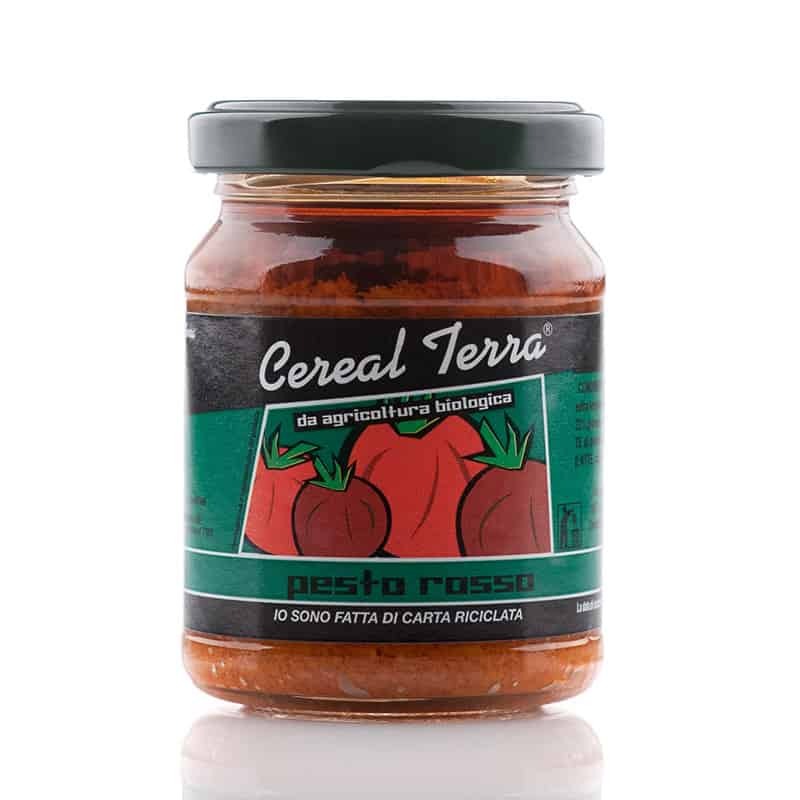 An organic red pesto that is highly flavoursome and very versatile. It can be enjoyed with any of our pasta or rice. Or try it on our carasau or bruschetta bread, with shaved pecorino cheese on top...delicious! Ingredients: Tomato puree, extra virgin olive oil, sundried tomatoes, cashewnuts, basil, reggiano parmesan cheese (milk), pecorino cheese (milk), pinenuts, apple cider vinegar, garlic, salt.